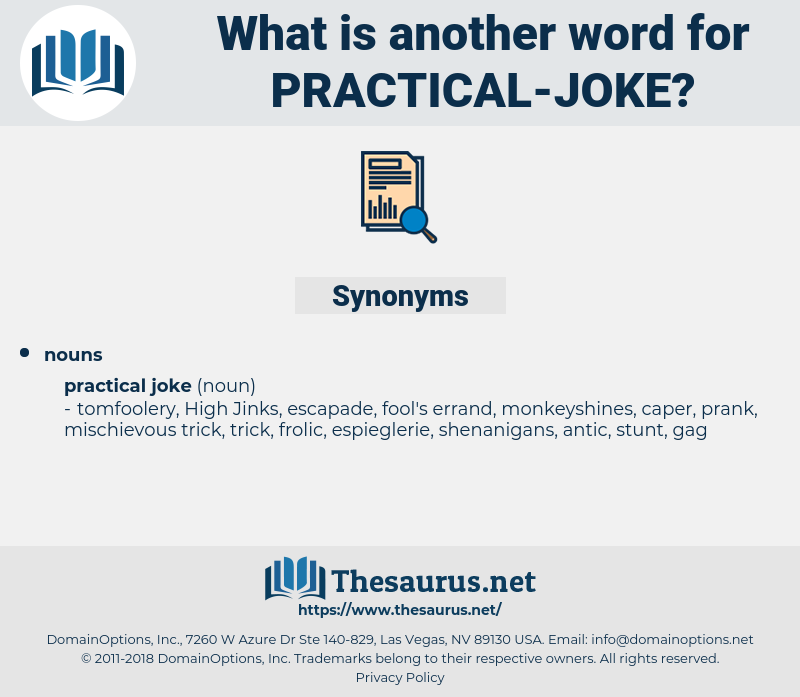 What is another word for practical joke? A trick played that hurts or tends to hurt the body, results in an indignity, or injures or destroys property. April Fool, snipe hunt, hotfoot, rag. 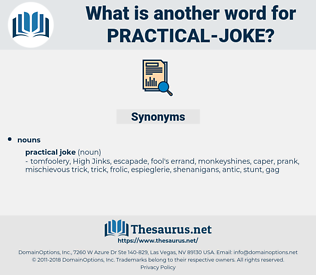 caper, joke, antic, trick, put-on, prank.